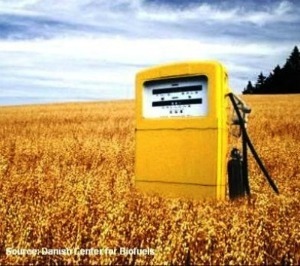 The Soviet-style production quota for ethanol, pompously titled the Renewable Fuel Standard (RFS), is in trouble. The RFS requires more ethanol to be sold than can actually be blended into the nation’s motor fuel supply. 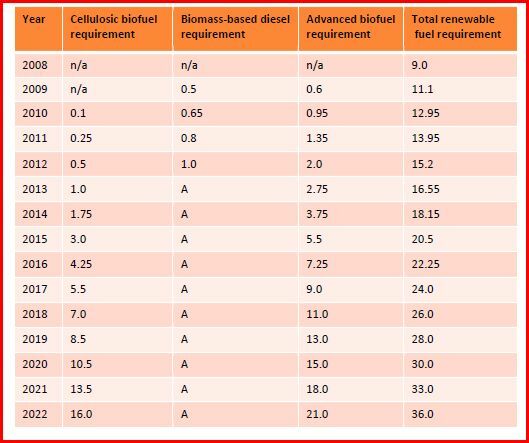 This “blend wall” problem will get worse as RFS production quota and federal fuel economy standards ratchet up, forcing refiners to blend more and more ethanol into a shrinking motor fuel market. Here’s the math. 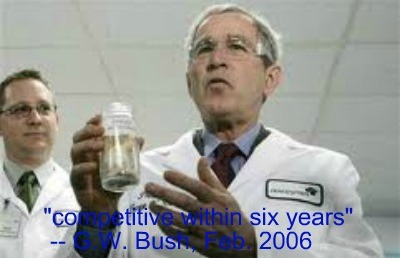 Total domestic U.S. motor fuel sales in 2011 stood at 134 billion gallons. Although the U.S. population is increasing, overall motor gasoline consumption is projected to decline by 14% as fuel economy standards tighten between now and 2025. Already, the 2013 blending target for “conventional” (corn-based) biofuel — 13.8 billion gallons — exceeds the 13.4 billion gallons that can be blended as E10 (a fuel mixture containing 10% ethanol). 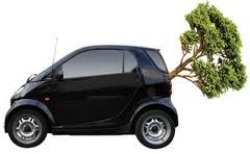 By 2022, the RFS requires that 36 billion gallons of biofuel be sold in the domestic market, including 21 billion gallons of “advanced” (low-carbon) biofuel, of which 16 billion gallons are to be “cellulosic” (ethanol derived from non-edible plant material such as corn stover, wood chips, and prairie grasses). Because commercial-scale cellulosic plants still do not exist, the EPA repeatedly has had to dumb down the cellulosic blending targets. Eventually, though, the EPA will have to mandate the sale of at least a few billion gallons of advanced biofuel, just to keep up the pretense that the RFS is something more than corporate welfare for corn farmers. 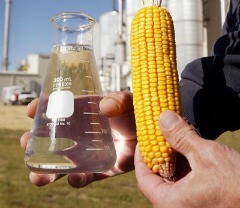 In any event, by 2015, refiners will have to sell 15 billion gallons of corn-ethanol — roughly 1.6 billion gallons more than can be blended as E10. A side effect of the blend wall is the recent “RINsanity” of skyrocketing biofuel credit prices. The EPA assigns a unique Renewable Identification Number (RIN) to every gallon of ethanol produced and a credit for each gallon sold as motor fuel. Refiners who cannot blend enough ethanol to meet their quota can use surplus credits accumulated during previous years or purchased from other refiners. Because the blend wall makes the annually increasing quota more and more difficult to meet, RIN credits are suddenly in high demand. Credits that cost only 2-3 cents a gallon last year now sell for about 70 cents. Consumers ultimately pay the cost — an extra 7 cents for each gallon of E10 sold, or an additional $11.7 billion in motor fuel spending in 2013, according to commodity analysts Bill Lapp and Dave Juday. Ouch! Ethanol was supposed to reduce pain at the pump, not increase it. 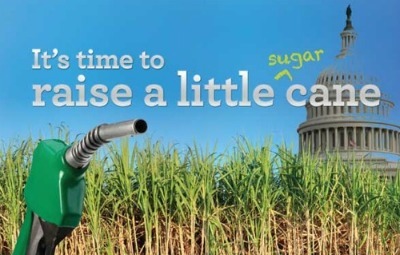 But the head of the Renewable Fuels Association—Bob Dinneen—says the industry will work to ensure that tax credits for cellulosic ethanol will continue past the end of 2012. “We think that the production tax credit and the depreciation that is now allowed for cellulose needs to continue,” Dinneen says. Extension of the cellulosic tax credits will send an important signal to the marketplace and encourage investment in the next generation of ethanol technology, Dinneen says. “They need only look at the tax incentive for grain-based ethanol that has just expired–that demonstrates you don’t need a tax incentive forever,” Dinneen says. Cellulosic ethanol has not yet been produced commercially, but according to the U.S. Department of Energy web site, several commercial cellulosic plants are under construction. The U.S. Environmental Protection Agency (EPA) today finalized the 2012 percentage standards for four fuel categories that are part of the agency’s Renewable Fuel Standard program (RFS2). 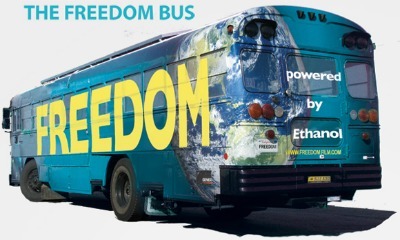 EPA continues to support greater use of renewable fuels within the transportation sector every year through the RFS2 program, which encourages innovation, strengthens American energy security, and decreases greenhouse gas pollution. When these mandates were established, no companies produced commercially viable cellulosic fuel. But the dream was: If you mandate and subsidize it, someone will build it.